Many webmasters trouble to get sufficient traffic to their websites. And however every webmaster did not purchase a hosting to establishing a site or blog, there are many cost free platform like Blogger, WordPress, Weebly etc. So everyone don’t want to pay money to get traffic, Many of them need it free. Today I am going to give you a list of sites which will deliver you such amount of traffic for free of cost. After then I describe few ways to get free traffic with own effort. Here you can exchange traffic, For example if you are visiting others site then you will get visitors to your site. This kind of exchanging websites will give you points for visiting others site, and you can use this points to get your visitors. For every site you visit, you will receive one visitor back to your site. EasyHits4u provide a fair 1:1 exchange ratio. There’s no limit to the amount of free hits you can receive per day — 10, 100, or even 1,000. While surfing, you earn credits and receive bonuses on each prize page (credits, banner and text ad impressions, cash, Premium days, surf drawing tickets). Each credit you earn can be exchanged for one visitor to your page. You can also convert credits into banner and text ad impressions on the “Conversions” page and assign them to your banners and text ads. You can request payout to your PayPal account as soon as you earn the minimum of $3.00. You can also convert earned cash into credits, impressions, or Premium Days at any time. The exchanger lets you continuously surf and earn points without any interruptions, pop ups or frame breakers. The exchanger is a well-rounded application with a nimble dashboard that will get you earning your first points and receiving visitors to your website instantly! With HitLeap, everything is simple. You can earn free traffic or buy a traffic package. 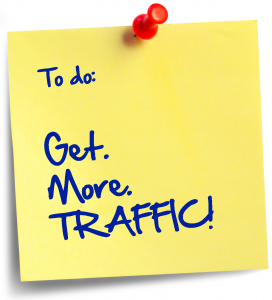 That’s all you need to do to increase your website traffic. You can fully configure the traffic you will receive. For example, you can configure the Visit Duration and Traffic Source of the visitors. Discover the full power of HitLeap by signing up now. The TraffiCG Traffic Exchange Service allows you to visit members sites, and in return other members visit your site, each site you visit gains you one visitor back to your site. The traffic They deliver is highly unique (24 hour unique), traffic can also be geo targeted and targeted by interests too. I tried to explain how to get massive traffic to your website. Search Engine Optimization (SEO) is the best way to getting huge amount of free traffic. You need to know some basic knowledges to get started. Firstly the keywords, Take some keywords on your nice and implants them in your whole site. Try to having your keywords in your Page Title,H1 tag,In first paragraph . Use google search console tool to handle your sites appearance in google. Also don’t forget about Yahoo and Bing. Try to get indexed in Baidu. Your search engine ranking will deliver you the most daily unique visitors, so try to get top rank in major search engines. Make a strategy of social media like Facebook, Google+, Twitter, Pinterest, LinkedIn, Youtube. You may need to spend some time figuring out how each platform works but they are proven ways to get free visitors to your website. If you do the right things your effort must be achieve you the goal of getting free traffic. I put some articles about SEO, Read them to know about what is SEO and how to do that.